Langkawi has been on the tourism radar for several years, but not really boomed like Phuket which is a good thing. Personally, I like this state of affairs because the majority of things I would like is available but without things being too crazy. Langkawi is a tranquil, peaceful island without crowds. Many people think Langkawi is just one island but it is an archipelago of 104 islands. Some sources say 99 islands but this is because 5 of them are not visible during high tide. By far the largest of the islands is Pulau Langkawi with a population of about 65,000 people. The only other inhabited islands are nearby Pulau Tuba, Pulau Rebak and Pulau Dayang Bunting. The island is a duty-free zone which makes it popular for Malay people to visit for some combined shopping and rest & recreation. Personally, I would not think too much about the duty-free because Malaysia is very inexpensive even when duty is paid. The “island capital” is called Kuah Town and this is where you want to go shopping for duty free items. Langkawi is also considered the “Sailing Mecca” of Malaysia and you have 4 nice marinas to choose from. Even if you are not a sailor it can be a nice afternoon stroll to check out the yachts. Beach on Langkawi, Malaysia. Courtesy of Malaysian Tourism Board. No, this is not Thailand. This is Langkawi in Malaysia. Pantai Cenang on Langkawi, Malaysia. Getting to and Around Langkawi. The main island have scheduled flights to and from Penang, Kuala Lumpur and Singapore. 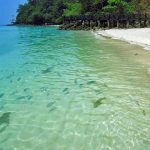 If you want to arrive by boat you can travel from Kuala Perlis, Kuala Kedah, Georgetown (Penang) and from Koh Lipe in Thailand during high season (usually November – March). When you have arrived on this paradise island it is easy to get around with taxis and rented cars or motorbikes. As in all other rural areas in South East Asia it is advisable to drive carefully since traffic safety is not something the locals lose sleep over. 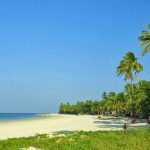 The most famous and where it all started is Pantai (which means beach in Malay) Cenang where you will find several hotels in different price ranges and a village with restaurants, shops, bars and cafés. South of Pantai Cenang is Pantai Tengah where you will find fewer but bigger hotels. 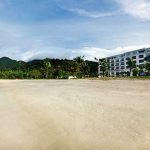 Just north of the airport you will find Pantai Kok and up north are the exclusive beach hotels on Teluk Datai and Tanjung Rhu. Beaches I have not visited are Pantai Pasir Hitam with its black sand, and Pasir Tengkorak which is supposed to be a beautiful small beach in the north. Speaking of Langkawis´ beaches and not mentioning jellyfish would be wrong because it has been written a lot about “killer jellyfish” in media. Yes, there are Box Jellyfish along the Malay Peninsula that can be lethal if you are allergic and unlucky. As always in media, an article has to sell and some journalists tend to describe things worse than they are. Personally, I would not let those articles ruin my trip. Just be careful and scan the waters before you jump in. Feeding fish on Langkawi, Malaysia. 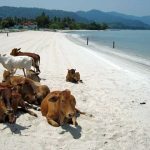 Cows on the beach in Langkawi, Malaysia. Nursing sharks by the beach in Langkawi, Kedah, Malaysia. Where to Stay on Langkawi. 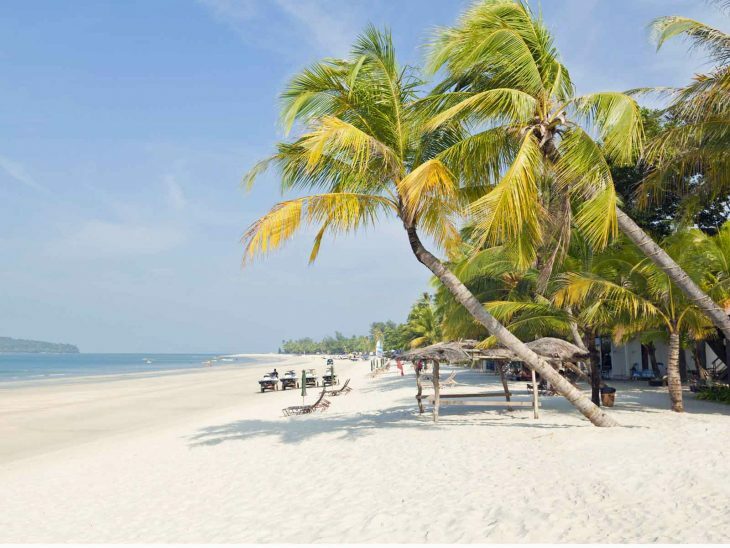 There are plenty of hotels on Langkawi and it is always a matter of personal taste and budget. The hotels below are tried and tested by yours truly and I can recommend them. 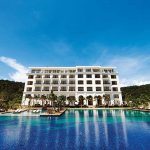 If you are looking for a good 3+ hotel on Langkawi, this is where you want to be. Directly on Pantai Tengah and well taken care of. Please be aware that there will be some renovation work carried out September – December 2014 and you might want to check status of these before you book. If you are travelling with your children it is a good idea to double check the bedding for children in the family rooms. Good value for money with its neo-classical style and comfortable rooms, directly on the beach. Official rating is 5 stars and it c­ould most likely pass as a 5-star hotel, but it is not super-ultra-luxury. Please do not get me wrong, it is a good hotel which I like a lot but I do not want you to get disappointed. My recommendation is to check in expecting a good 4+ hotel and you will be pleasantly surprised. Beach at The Danna on Langkawi, Malaysia. Facade and pool at The Danna on Langkawi, Malaysia. 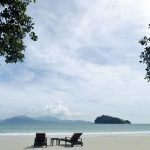 If you want a captivating and a true 5-star experience on Langkawi, this is where you want to go. On the north part of the island with its own pristine beach. All facilities and services are top notch and nothing is left unattended. Here is a golf course but absolutely not a golf resort and you do not have to be a golfer to enjoy your stay here. The Thai Pavillion at The Datai on Langkawi, Malaysia. The Beach at The Datai on Langkawi, Malaysia. The beach pool at The Datai on Langkawi, Malaysia. This is probably my favourite hotel with its perfect location on Pantai Cenang, great ambiance and atmosphere and well kept. Please remember that this hotel usually runs with high occupancy and you might need a bit more planning ahead than with other hotels. Things to Do on Langkawi. There are lots of small islands around Pulau Langkawi and almost all of them are inhabited. This means you will be able to find your own, personal beach for the day on a short boating distance. Your hotel will be able to help out with transportation and a pick nick basket. Please do not forget to bring sun screen and an extra bottle of water if you go since it is no fun being sun burned and thirsty on a deserted island. 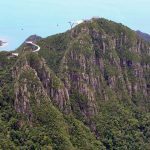 If it is not too windy you can take the cable car to the viewing platform on Mount Machincang where you will enjoy spectacular views of the islands. On a clear day you will see all the way to Thailand. At the bottom of the cable car is Oriental Village with its simple but good restaurants and souvenir shops. 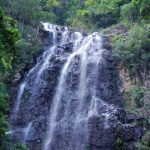 From here you will have just over 600 steps to Seven Wells waterfall (Telega Tujuh in Malay) where you can swim in natural pools, created by time and water. 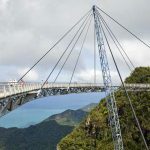 Langkawi Cable Car & Skybridge, Malaysia. Seven Wells waterfall on Langkawi, Malaysia. If you want to practise the “gentleman’s sport” during your stay in Malaysia you can choose to play on 99 East Golf Club, Gunung Raya Golf Club and The Els Club Teluk Datai. Earlier this year I published a short article on how fun it is to take a helicopter ride in New York. Flying a helicopter is fun and it is a great way to experience the views. This is one of the biggest aquariums in South East Asia showcasing more than 4000 varieties of fish from more than 500 species. The main attraction is the glass tunnel through one of the biggest tanks where you can watch sharks, stingrays and other fish swim by. There are more than 200 species of birds on the islands with ample opportunities to tick another species in your book. Mega Water Sports arranges tours on Jet Ski to the nearby islands, a fishing village or just around the island. If you like speed and water sports, this is what you want to do. If you are into sailing, the Royal Langkawi International Regatta is one of the most prestigious sailing events in South East Asia and usually happens some time during January. In 2015 it takes place between 12th and 17th of January. 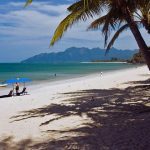 There are several other activity opportunities so I can almost guarantee that you will have a fun filled vacation on Langkawi. 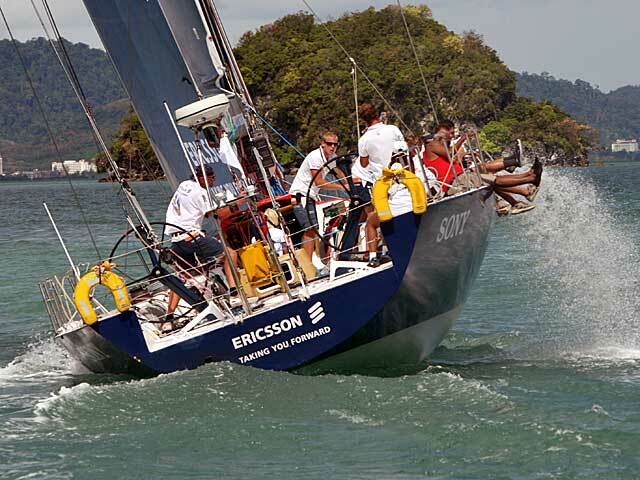 Royal Langkawi International Regatta, Malaysia in 2006. 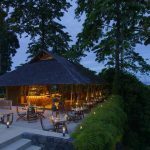 Eat & Drink in Langkawi. Alcohol is fairly expensive in Malaysia compared to other parts of the world. Langkawi is the exception since it is a duty free zone. As always in Malaysia, good food is available in most price ranges and generally you can say that food is very affordable. Of course, a 5-star hotel will guarantee a higher tab than a food stall around the corner, but this goes without saying. It is not really fair to pick a small number of restaurants, as I have done below, because there are so much food to be discovered. Nice budget place on Pantai Cenang, just opposite Casa Del Mar, serving Malay and Indian dishes. Some say it is one of the best places on Langkawi for Indian food. I have not tried all restaurants on the island but I can confirm this one is very good. Small place serving pizza and house specalties on Pantai Cenang. Eat in, take away or have it delivered to your guest house. If you are staying in a hotel I would not recommend delivery. If you are looking for a casual meal on the beach, this is where you want to go. You will find a good wine selection, beer on draft and cocktails. Edit 2016-11-16: Beach Garden Resort is now closed according to our readers. Thanks for letting us know! Probably the best Japanese on Langkawi with fresh seafood from their own aquarium. On Pantai Tengah. They also have “serected” fine wine. Check out this page on their site. This is a great place to eat, no matter if you are staying at the hotel (see above) or not, since everyone is welcome and you will enjoy a nice view over the beach. 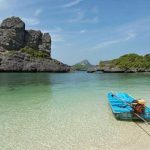 This is a great island for most people who wants all the comforts and activities of a developed tourist destination but without the hustle, bustle and the enormous crowds. You go here for beaches, some shopping, good food and a nice time in the sun. There is some culture too, but for that you should absolutely combine with the neighbouring island Penang. I had a hard time to stop writing because there is so much more that could be said about Langkawi. I hope this article has given you an idea of what it is all about and that most people will have a nice holiday here. If you have more tips about tourism Langkawi, please share them on Twitter, on Facebook or in the comments below. I am looking forward to hear from you! However, Beer Garden at Beach Garden Resort and Beach Garden Resort itself does no exist since March 2014. Thanks for your kind words and for letting me know about Beach Garden Resort! I will update the article. Hello this is so beautiful place to go with family and friends for holiday also so many beautiful places to see. Your writing skills of the blog is so good. Thanks for writing and sharing this post with us.